TOPEKA, Kan. –Law enforcement authorities are investigating a shooting and have a teen suspect in custody. Just before 2a.m. Thursday, police were dispatched to the 1900 block of SW 36th Street in Topeka on a report of a shooting, according to Lt. Manual Munoz. Upon arrival, officers found a man in critical condition from a gunshot wound. He was transported to a local hospital. The initial investigation indicates that a man and women had gotten into an argument and during the argument the victim was shot. 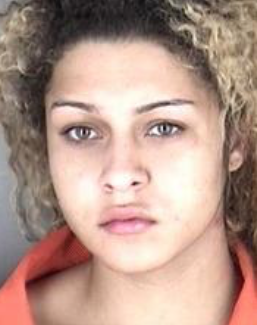 Police took a suspect identified as Sierra Simone Smith, 19, Topeka, into custody and transported to her the Law Enforcement Center for further questioning. Several witnesses were also brought to the LEC and questioned by detectives. Smith was booked into the Shawnee County Jail on requested charges of Aggravated Battery, according to Lieutenant Andrew Beightel.